Time for DD’s first practice under Pop. 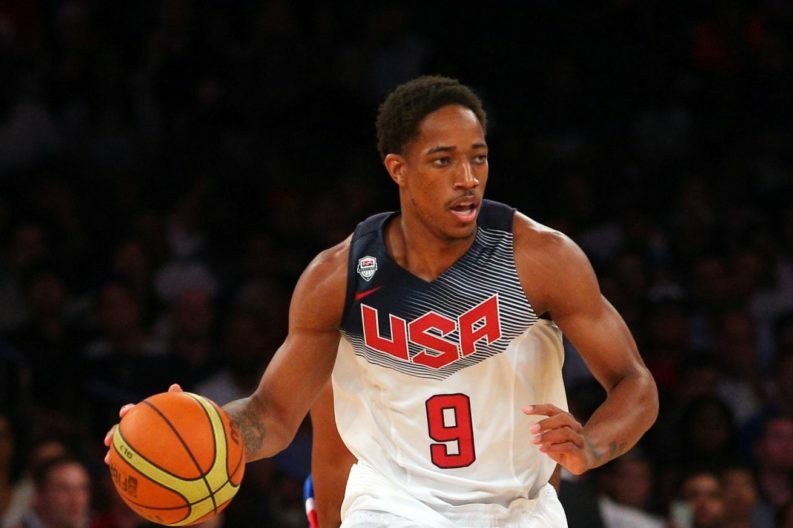 Team USA’s basketball camp, led by new head coach Gregg Popovich, will begin in Las Vegas this week, and it will include the Spurs’ newest acquisition: DeMar DeRozan. Although not the same as club basketball, it will be his first chance to be coached by Pop and give him a little taste of what’s to come ahead of training camp (although this will likely be much lighter). DeRozan’s prior experience at the national level include being part of the US team that won the 2014 FIBA World Cup. He also won a gold medal with Team USA at the 2016 Olympics. As of now, Kawhi Leonard is expected to be in Vegas for this week’s USA Basketball camp (as are DeMar DeRozan and Kyle Lowry). To what degree he plans on participating in practices (if at all) is up in the air, I’m told. There hasn’t been any word on the results of his physical or if it has even happened — although apparently the Raptors plan on keeping the results private in hopes of gaining Leonard’s trust. All I can say is that I’m glad he’s not our problem any more. Once again, welcome to San Antonio, DeMar! Enjoy your first experience with Pop!